Fancy up any day everyday by swathing yourself in this pastel luscious beauty Ravishing Off White Rayon DesignerKurtiTunic with Pink Embroidery by the house of Snehal Creation. 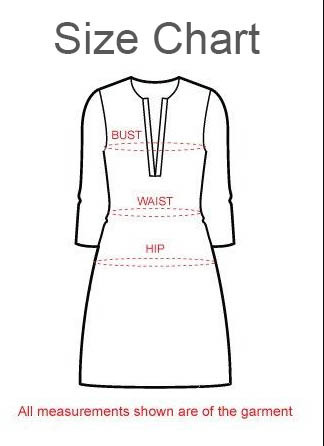 This Long Kurti comes in a contrast of off white and baby pink colours and is designed to carry a ban collar neckline and three quarter sleeves. The neck panel of the kurti is lined with piping and bead buttons. The lower front portion comes embroidered in a large pink floral design and is best when teamed with a churidar or cigarette pant.